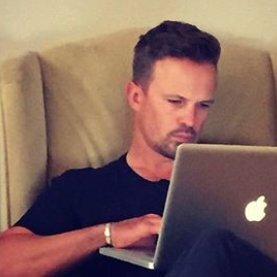 Yesterday TraderStef reached out to us on Silver Doctors twitter (we’ve yet to be shadow banned). She shared with us one of her latest post regarding the myth of QT vs growing US dollar cash in circulation. Interesting points made below. The Fed has often targeted 2% inflation rates. even some suggesting making 4% inflation a potential target mark. They’ll use all sorts of con games to get there. Ultimately our record debt levels and delusional unfunded liability mountains will get a mixed bag… both defaulted upon and inflated away. The fiat currency in question (USD) is not the exception. It’s lost some 97% of its purchasing power over the last 100 years. That trend LT stays w/o real central bank and currency reforms. The current Federal Reserve note, is precisely the central root of the ongoing problem today. Enrich insiders, default and debase on outsiders. Quantitative Easing (QE) is money printing no matter how you slice and dice it. Most of our money (aka fiat currency) exists within an electronic medium today, with the exception of gold and silver in your hands. QE involves the Fed creating new money that is used to purchase U.S. Treasuries, bonds, and asset-backed securities as a mechanism to inject additional money into the banking system. Here is Jon Stewart on the Daily Show having some fun with the topic while referencing media clips of former Fed head Ben Bernanke. My apology for the reverse screen, but it is the only clip I could find with the specific skit. The most important information I have for you today is 8 minutes with Andy Gause from an interview this past Thursday. He discussed Quantitative Tightening (QT), QE, and the TaperCaper, as well as some thoughts on the current price action in the gold and silver paper market playpen. Do not waste your time going any further if you do not listen to it first. 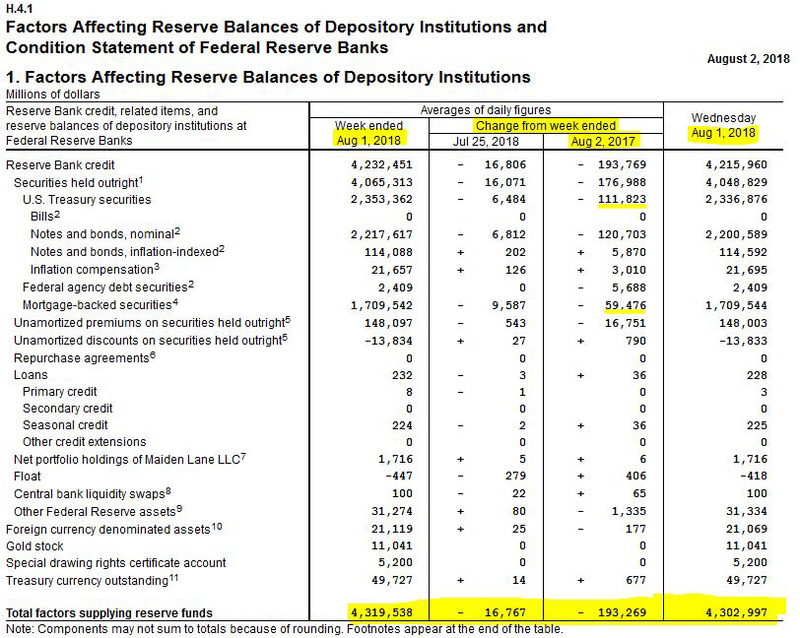 To validate the information presented by Andy, here is the most recent Federal Reserve Statistical Release (aka H.4.1) of factors affecting reserve balances. Take special note of the year-over-year INCREASE of currency into circulation on the second table and the FRED graphs further below. The first table shows a year-over-year QT of U.S. Treasury Securities at $111.8 billion and Mortgage Securities at $59.4 billion. That gives us a $171.2 billion decrease and includes the $16.7 billion decrease since last month. The second table shows that repurchase agreements (REPOS) also declined because the Fed did not temporarily sterilize the actions seen in the first table. The third table of Memorandum Items shows foreign officials absorbing $52.5 billion of the $111.8 billion of U.S. Treasuries and $36.4 billion of the $59.4 billion in federal agency debt and mortgage-backed securities sold by the Fed. The current monthly pace of QT is supposed to be $18 billion in Treasuries and $12 billion of asset-backed securities, giving a combined total of $30 billion. In the fourth quarter of this year, amounts are scheduled to rise to $30 billion in Treasuries and $20 billion in asset-backed securities, giving a combined total of $50 billion per month. Keep in mind that during QE3, the Fed was purchasing debt at $85 billion per month, giving us a $600 billion annual total. The current year-over-year of QT is a paltry $171.2 billion, while increasing the currency in circulation. Here are the visual charts from FRED. If you are interested, here is the latest report on all “central bank balance sheets” from Yardeni Research, dated Aug. 3, 2018. Fiscal year 2019 begins in October 2018, with an estimated $985 billion deficit that will require additional debt issuance. Economic advisers have suggested that we can grow our way out of the debt.